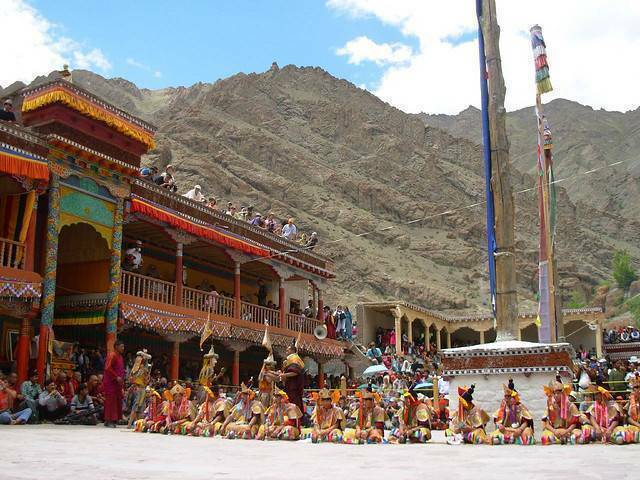 Hemis Monastery is about 45 KMs from Leh and is one of the richest and oldest Buddhist monasteries in India. Consider visiting in the month of June and enjoy the Hemis festival and you'll see monks of all ages on the street. The two day Hemis Festival celebrates the birth of founder of Tantric Buddhism in Tibet, Guru Padmasambhava. Lamas performing Masked Dance, showing good wining over evil, is the highlight of the most famous festival in Ladakh. Visit the meditation cave and find peace within yourself. Walk along the beautiful gorge and take on the views of the surrounding mountains and see how gracefully the mountain goats are perched on the steep mountains. Enjoy the murals, paintings and feel the devotion in the air.